What is the Random Body? to browse the book before you buy. The Magic Moment is the last piece of the puzzle. Combine the six Foundations of Structural Integration with The Magic Moment. The sum of that information creates the space where people who are interested and curious can recreate the experience of structural integration. Now all we need to do is to put it into a form that the world will universally understand. We need a way of explaining structural integration to ordinary every day people in an ordinary every day manner. It is time to say our Mass in plain English. 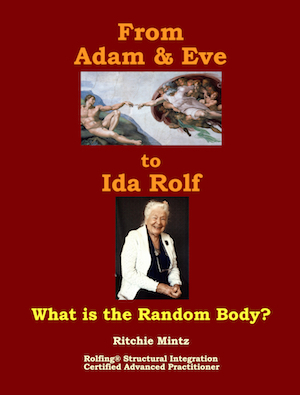 When we can do that, Ida Rolf’s dream that her ideas would permeate the culture will be reality. Foundations of Structural Integration contributes to that future. 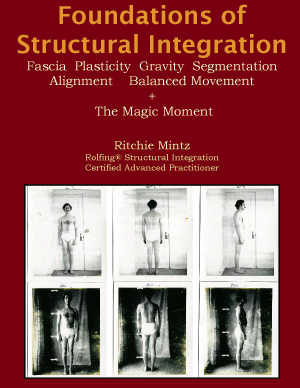 Join Ritchie Mintz on a journey that is part anatomical poetry and part stream of consciousness ramble through the fascial web that is the body fabric. Burst through established paradigms to redefine words like health, illness, aging, together, fit, normal, permanent, and even the attributes that characterize us as human.